Humberside Sunblinds’ impressive range of blinds now extends to include the beautiful Senses Mirage collection. Senses Mirage blinds have an innovative design which allows optimal light control. The blinds can be lowered like roller blinds but also have two layers of fabric which can be moved independently of each other. 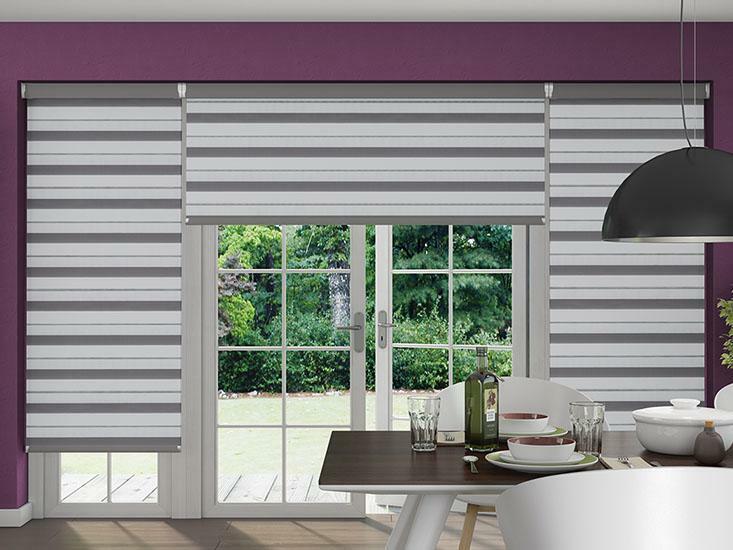 The fabric has both translucent and opaque stripes which can be adjusted to function just as Venetian blinds do, offering you a blind with very versatile lighting control. The Mirage blinds bestow a modern, sophisticated aesthetic upon a room and come in a wide array of colours and finishes. Perfect for any room of the home, these blinds are the ideal blend of looks and functionality. The experts at Humberside Sunblinds can come and efficiently install your new blinds for you, ensuring they fit and function seamlessly in your window space. For a family-run blind specialist in Lincolnshire – including Grimsby and Cleethorpes – get in touch with our team today.